Why I am running barefoot? 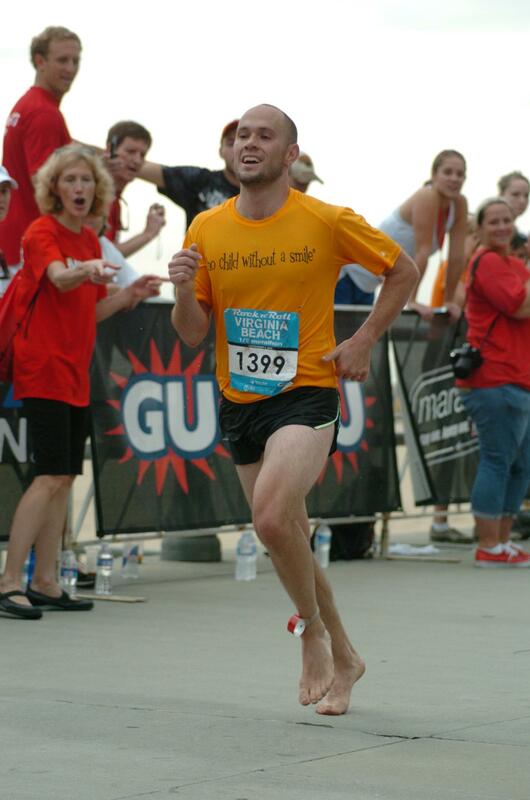 A few years ago I decided to start running barefoot.. It was trendy to run almost barefoot in expensive minimalist shoes. I couldn’t afford the shoes at the time and so figured that if I wanted to have the barefoot experience, I should just run without shoes. 11 marathons followed, which included one ultra marathon of 52 miles; they were mostly all on pavement save a particularly painful race in North Carolina that featured 20 miles of packed gravel. When I run barefoot, people ask me why. It is a great way to meet new people and tell them a story. What’s more, there is a weird tradition with runners in that they like to raise funds for non-profit organizations while running mile after mile. During a two-year period I raised upwards of $10,000 for Clowns Without Borders USA by doing this. I need your help to support the work of the CWB-USA ASAP. We are sending a team of professional artists to support Syrian refugees as they move through Greece seeking asylum and safety from the atrocities that continue to escalate in Syria right now. 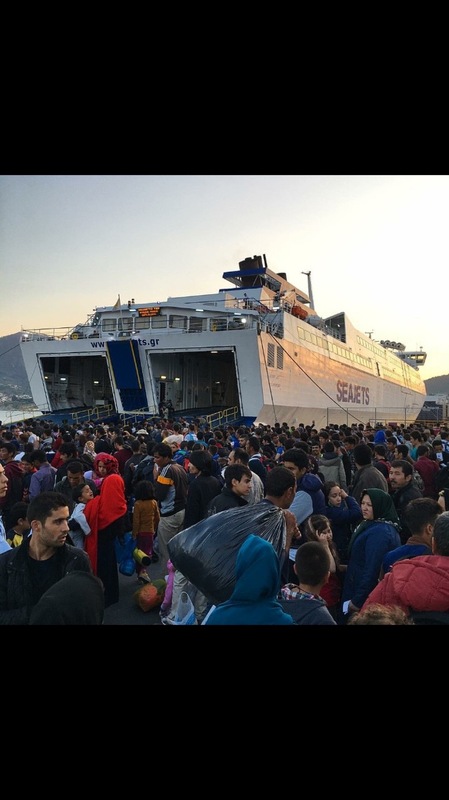 The influx of refugees is reaching record numbers of 4,000 people or more PER DAY. Many of these people fled their homes with nothing but what they could carry on their backs, thousands more, when the boats they took to leave countries like Turkey lost even those possessions when their overloaded vessels capsized or broke. So many people have arrived on the shores of Greece with just their clothes having lost everything, including their shoes. On Sunday, October 18th I will run the Denver marathon barefoot in solidarity and support of our neighbors who have lost everything, victims to a senseless war in Syria. Your tax deductible donations will support a two-week intensive project in which a small group of our clowns headed by Molly Levine and Sabine Choucair will share laughter and smiles with families anxiously waiting for transportation to a safer life. The project will take place starting October 22. Many of my friends and colleagues have talked about wanting to find ways to support those whose lives have been violently changed during this refugee crisis. Here is one simple and unique way to help—donate to support CWB-USA. We thrive off of individual donations; our artists volunteer their time and skills so that your donation can be most effective in maximizing laughter, joy and resiliency!